Looking for a rewarding career in the health care industry? Join one of the fastest growing careers with a degree in health administration from SJC Long Island. Our health administration graduates are suited for a variety of positions across the state and the country. While other segments of our economy are experiencing layoffs, downsizing, outsourcing and plant closures, health care is experiencing tremendous growth. SJC helps working adults lay the groundwork for career mobility among fellow health care professionals. 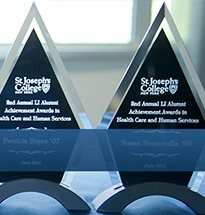 St. Joseph’s College hosted its fifth annual Alumni Achievement Awards on June 15 with keynote speaker Michael Dowling, president and chief executive officer of Northwell Health. With online and weekend college options, our graduates have gone on to hold careers in various areas, including assisted living, clinic and health information administration; and clinical, data, health care and medical practice management. The Department of Health Administration will prepare you for a broad range of careers in the health field. The Health Administration offerings at SJC are designed to prepare students for leadership roles in the health care field. Find your calling today. Start your health care career, and lead the way. Health administration covers a wide spectrum of professions, and many of our students already have credentials in the health fields. Some are in radiologic technology, nursing and medical records. Others, though, are just seeking to enhance their career prospects through this program. Our B.S. in Health Administration develops administrative skills and knowledge through an extensive curriculum that includes organizational behavior, comprehensive health planning, human resources management, long-term health care administration, staff development, financial management and home care administration. This major fosters the development of knowledge skills, intellectual skills, and personal value systems. The program provides students with the opportunity to explore and understand diverse ideas and cultures as they relate to the provision of health care services. Accelerate your life. Accelerate your career. The dual degree program is designed to enable students to optimize financial resources, and compress time spent in college in order to accelerate the completion of both an undergraduate and graduate degree. Dual degree candidates must meet the general undergraduate and graduate admissions requirements. The dual degree is also designed for working adults seeking to advance to a senior managerial position in the health care industry by allowing students to build upon undergraduate courses in health administration while completing graduate level courses. Students who may have limited exposure to the health care field may find this option attractive as it allows students to be emerged into the field without breaks in education. After completing 90 undergraduate credits, 21, of which must be completed at St. Joseph’s college, students are allowed to begin graduate level courses. 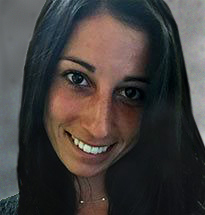 "I learned about a great [internship] opportunity [at Northwell Health] through one of my professors, John Sardelis. During his course, HCM 532, he provided us with great networking opportunities by inviting health care professionals from different areas to come in as guest speakers... my summer internship turned into a permanent full-time position. I am beyond excited and very fortunate to start my career with the largest health care system in New York!" "
In addition to having met the general admission requirements of Professional Studies, SJC health administration students typically have postsecondary education and training and have acquired, through experience, the skills and knowledge appropriate to the degree. Exceptions to this are made with the approval of the Dean. Medicare and Flu Shot Coverage • Medicare covers vaccines and immunizations when they are medically necessary. How they are covered and the cost sharing associated with them depends on the kind of immunization and your individual circumstances when you get it. READ MORE. A Push To Get Older Adults In Better Shape For Surgery • Surgery can be hard on older adults, resulting in serious complications and death far more often than in younger patients. But many seniors aren’t adequately prepared for the risks they might face. READ MORE. How are Social Security benefits and the Part B premium changing? • I collect Social Security retirement benefits, and I have Original Medicare. I know that my Social Security award and my Medicare Part B premium have both changed between 2017 and 2018, but I don’t really understand what this means for me. Can you help me understand this? READ MORE. A Benefits Trend That's Paying Off For Both Employers, Employees: Personalized Health Clinics • For Google, Apple and Facebook employees, the doctor is always in — at work. And at LinkedIn and a growing number of companies, personalized health clinics staffed with physicians, nurses, and therapists are just off campus. The business model is thriving in Silicon Valley and elsewhere, experts say, because it focuses on preventive services that treat workers before their illnesses and pains — physical and emotional — become more expensive for their employer plans. And since it’s so convenient, employees are more inclined to not put off that annoying trip to the doctor across town for an ache or symptom that just won’t go away. (Seipel, 12/22) READ MORE. Cheap artificial muscle with super strength • MIT’s Computer Science and Artificial Intelligence Laboratory has teamed up with Harvard’s Wyss Institute to create a super strong, affordable artificial muscle that could be used to create soft robots with “superpowers,” including the ability to lift up to 1000 times their weight. READ MORE. For an archived list of previous items, visit SJC Long Island's Department of Health Administration’s helpful news page.